Purchase 50 or more Simulaids Kevin 6-9 Month CPR Manikin Mouth/Nose Pieces- Pack of 10s and download your free support pack worth £100. Purchase 200 or more Simulaids Kevin 6-9 Month CPR Manikin Mouth/Nose Pieces- Pack of 10s and you can have personalised covers absolutely free! 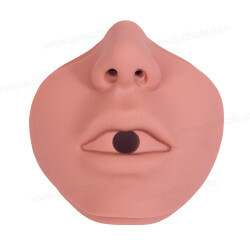 also available for the African-American Kevin CPR Manikin.